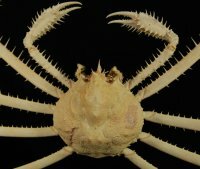 XLarge Dried Spider Crab [CRAB428] : Fossils Online, Welcome! Very nice, large crab from the Philippines. Measures 15" x 10".